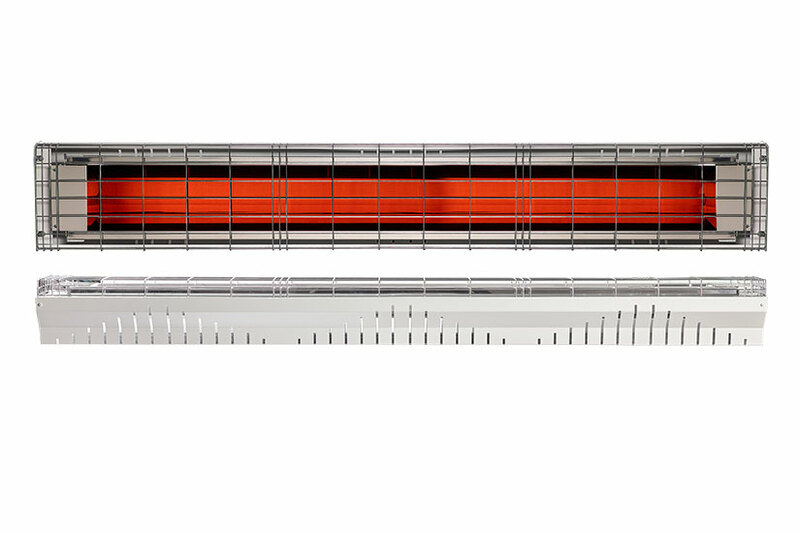 Special infrared heater equipped with an IRK lamp with a fast mediumwave. Special IR translucent quartz lamp custom-built with a fast mediumwave, Teflon cable, and silicone glass fibre – reinforced body. For churches, gyms, industrial premises, machine shops, workshops, tensile structures, sports Palaces, recreational spaces, warehouses, showrooms, passageways for railway stations, shopping centers, airports, schools, game rooms, indoor playgrounds, coffee shops, restaurants, dehors, theatres.